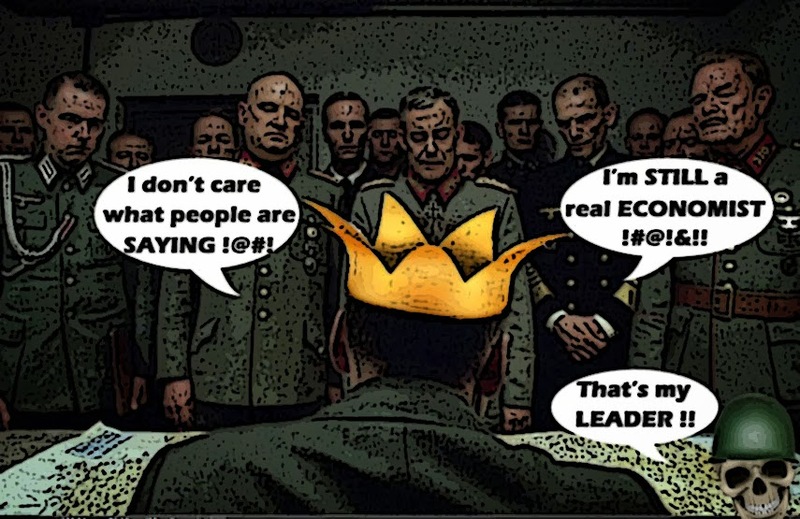 I don't think it's possible for Julian Fantino to sink any lower than he did the other day. By treating elderly veterans like children and giving them the bum's rush. But I see he's trying hard to accomplish the impossible. For there he was today defending the indefensible, blaming the victims, and trying to smear those who dare criticize him. You've just got back to Canada. You have some time to kill before your connecting flight. You whip out your mobile phone to check out the web, using the airport's free Wi-Fi. Only to have Big Brother start following you around. I must admit Justin Trudeau's move to boot the Liberal senators from his caucus caught me by surprise, and it is certainly a bold one. 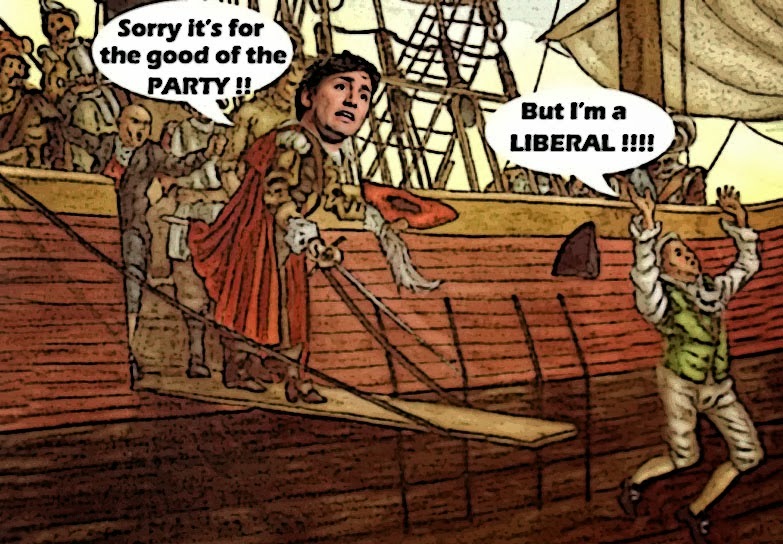 Justin Trudeau has dissolved a vital bond between senators and the Liberal Party that appointed them, expelling dozens of members of his caucus in a dramatic attempt to reshape the Senate without a constitutional debate. It makes Trudeau look more decisive, it steals some of Tom Mulcair's thunder on the Senate issue, as well as the original idea. It might help shield the Liberals a bit from an upcoming audit of Senate expenses. 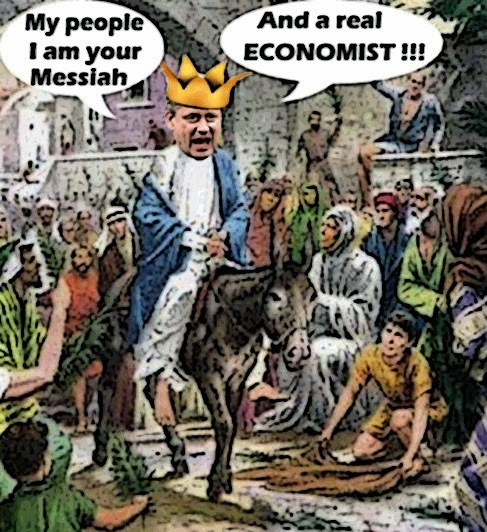 And it places Stephen Harper in a difficult situation. The man himself is bad enough. A bully, an anti-gay bigot, a crass Con buffoon. 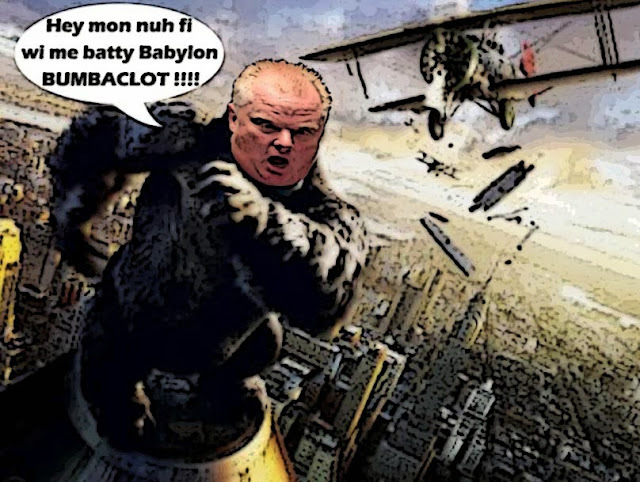 The most famous Canadian in the world, to our everlasting shame, and the worst mayor Toronto or any other city has ever known. So the last thing I really needed to hear was more about his family's scary problems. OMG. Not another Con money scandal. Why are those Harperites so greedy? Why can't they follow the rules like the rest of us? 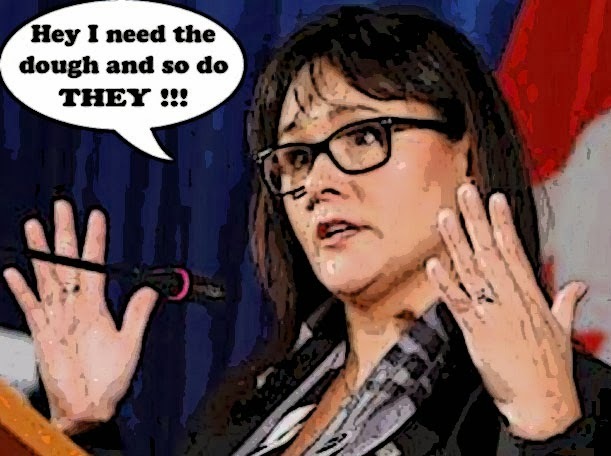 What was Leona Aglukkaq thinking? Conservative MP Leona Aglukkaq, the minister of economic development for the North, attended a fundraiser in her honour Tuesday evening where guests included the very people who receive funding from her department. And why was she running through a mall to try to get away from reporters? 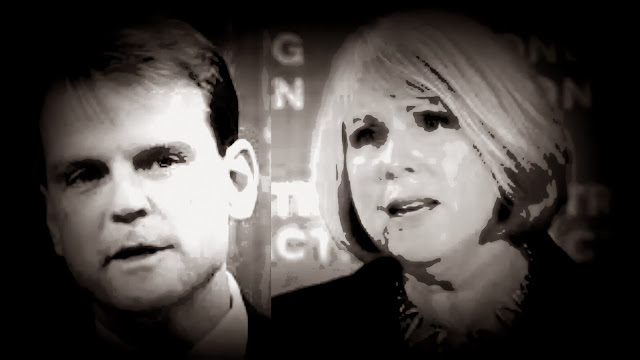 The other night I wrote about how disgusted I was to see Chris Alexander, the Con Immigration Minister, go after Deb Matthews, the Health Minister of Ontario, like a schoolyard bully. For the "crime" of standing up for the right of refugee claimants to receive health care. And I quoted this paragraph from a column by Carol Goar, that summed up what he has become. 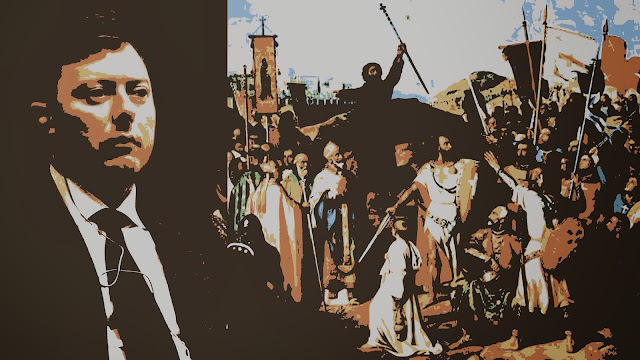 He had the talent, the knowledge, the international experience and the diplomatic skill to be an exemplary minister of citizenship and immigration. 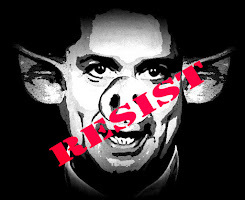 He chose instead to use his power to crack down on sick, vulnerable people. Well it must have been quite a shock eh? 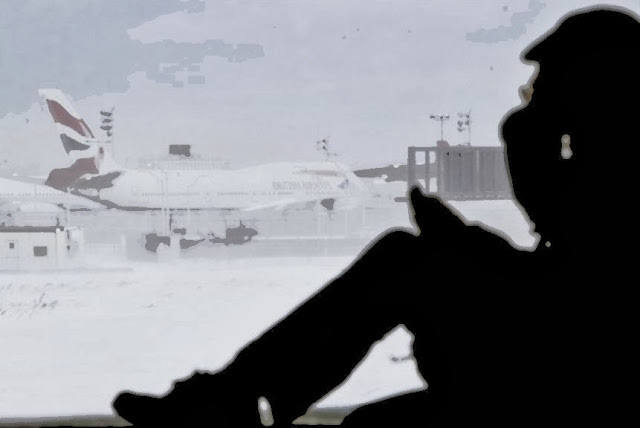 To return to freezing Ottawa after his sunny bloated junket through the Middle East. And to have the cheers replaced by jeers. Or the sound of questions. Well as you know he's been putting pressure on the Obama administration to approve his Keystone XL pipeline. And so have his Republican buddies. Republican leaders in Congress are planning a legislative offensive to force the White House’s hand on the Keystone XL pipeline decision if the Obama administration does not declare its support for the project in the coming weeks. Eric Cantor, the House Majority Leader, said Republicans are considering attaching a Keystone decision to a new law to raise the debt ceiling, which may be needed by the end of February for the U.S. to avoid another financial crisis. But it's all going horribly wrong. They say that everything he touches he corrupts, or drags into his monstrous world. And it must be true eh? 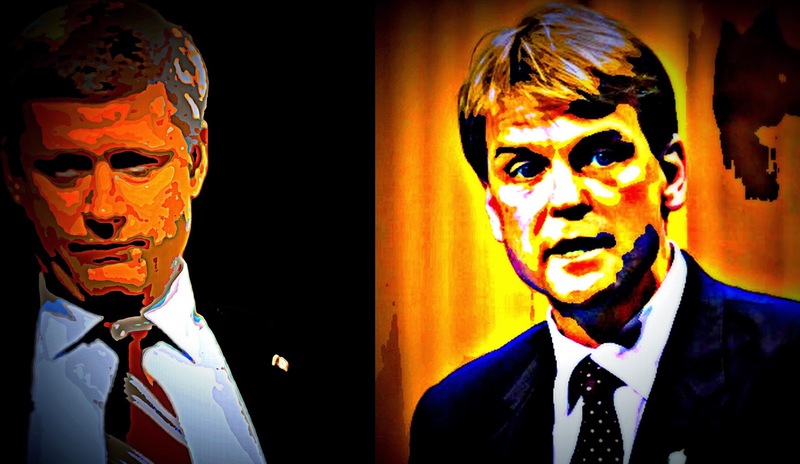 Because just look at the sad and pathetic case of Chris Alexander. Once he had half a reputation, then it started to unravel, now he's just another callous Con. They had to fight so hard for the right to set up Gay-Straight Alliance clubs in their schools. They had to battle ignorance and religious bigotry. They were called Nazis, forbidden by their school boards and their principals to use the word gay, or even draw the rainbow colours. But they never gave up, They just baked the colours into cupcakes. And kept on fighting. They forced governments to take action. They won battle after battle. There are more and more GSAs all over the country. And this is their greatest most magnificent victory. His bloated junket is over. He's back in Canada. Just in time for the latest porky scandal. Well today is Robbie Burns Day, and all over the world tonight the Tartan Army is marking the bard's birthday, piping in the haggis, and no doubt drinking heavily. And although I don't drink, and I don't eat the awful offal. I'm extremely proud of my Scottish heritage. 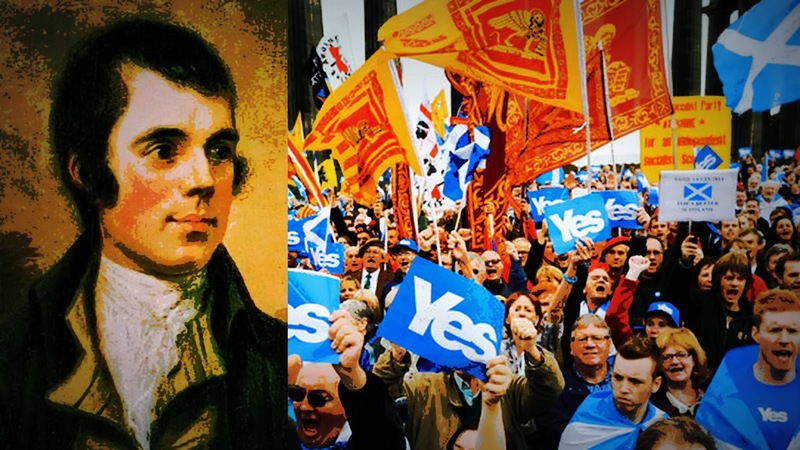 And this is a momentous year in the history of Scotland. The year when a referendum will be held in September, to decide whether the country should become an independent nation. 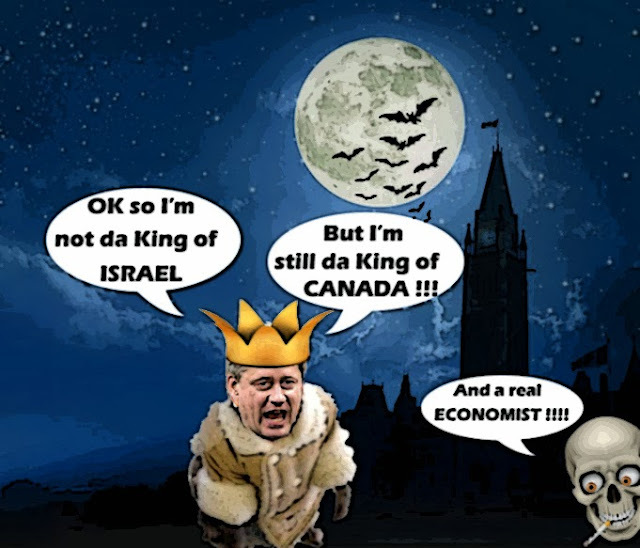 With the Arabs heaving a sigh of relief, the Israelis calling him "Canada's first Zionist Prime Minister." And debating whether his visit was a bad omen. 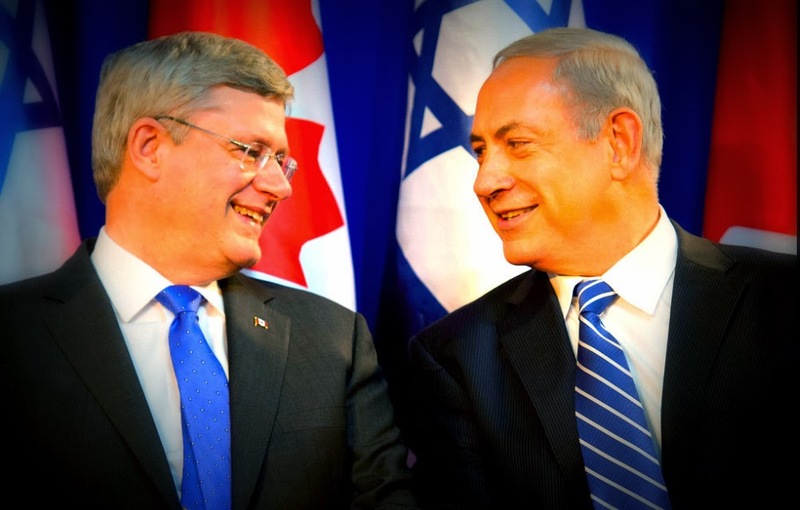 Benjamin Netanyahu, energized by the full body massage Harper gave him, digging in his heels on the settlement question. 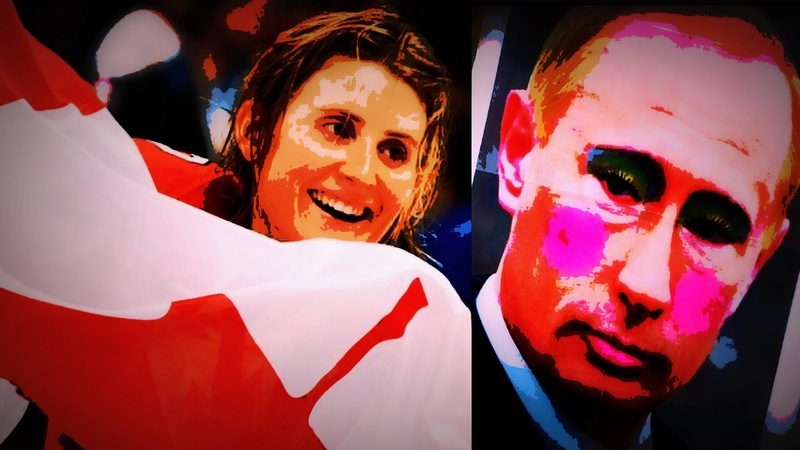 I'm happy to see that Hayley Wickenheiser will be carrying the Canadian flag at the Sochi Olympics. Not just because she deserves it. But also because I'm sure if she has a chance she'll let Vladimir Putin know what she thinks about his persecution of Russia's LGBT people. And I hope that Rachel Maddow is right about gay athletes giving Putin the finger. Not many people noticed, but last night was the eighth anniversary of the election victory that made Stephen Harper Prime Minister. The night the lights starting going out all over Canada. The beginning of what historians will one day call The Great Darkness. 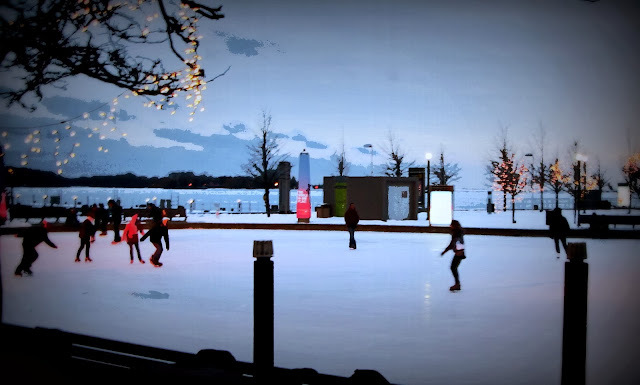 When Canada was abandoned to the beasts, and raped and mutilated beyond recognition. And on this fatal anniversary Chris Hall writes that although Great Leader has been badly mauled by scandal, and his polls are tanking, we shouldn't count him out. 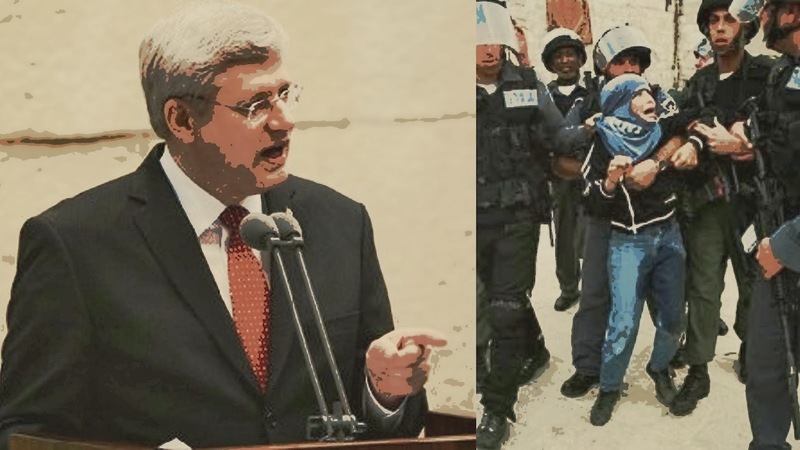 Well I see Stephen Harper's bloated junket to Israel has ended not with a bang but a whimper. 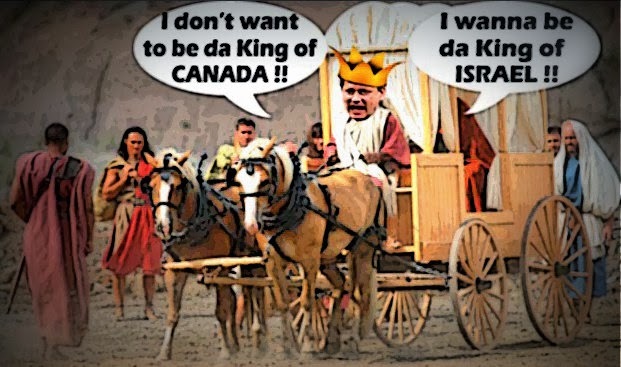 Not with Great Leader riding triumphantly through the streets of Jerusalem as no doubt he was hoping. But being towed by a tractor through a muddy field. I have to admit I have been doing my best to ignore Rob Ford. 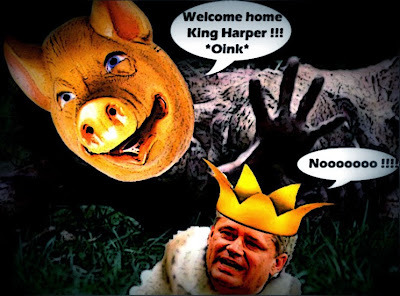 I find keeping up with the criminal activities of Boss Harper and his Con gang hard enough. And I fear too much exposure to that monstrous dumb as a spoon Con buffoon might drive me over the edge eh? But how can you ignore this state of denial or delusion? Mayor Rob Ford called the events of Monday night a “minor setback” and offered no apology in a Wednesday evening press conference. Or the damage he is doing. Well it was supposed to be a relaxing day in the Promised Land. 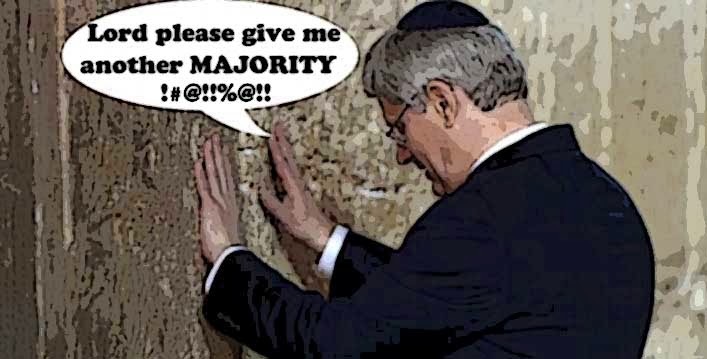 A chance for Stephen Harper to travel from one holy site to another. And another. And soak up the love of the Israeli faithful. After he made his way back to his motorcade, a woman in the crowd was heard to shriek: "He touched my hand!" Because goodness knows he needs some love eh? Well there he was on day three of his bloated junket, praying at the Western Wall. Looking like he was having a private moment with his Godzilla. While the wailing throngs reached out to touch him, like he was the Messiah himself. With one woman being quoted in the media as shrieking "He touched my hand !!!!!" And the whole spectacle of Lord Harper in the Promised Land seems to have been too much for Andrew Coyne, for there he was today, singing his praises. For this he took his bloated junket to the Middle East, and stuck us with the tab. So he can try to buy the votes of Jewish Canadians, pleasure his rabid Christianist base, pose as a true friend of Israel. And declare that anybody who criticizes the policies of its brutish right-wing settler regime is an anti-Semite. He would burn the books of those who monitor the health of our oceans lakes, and rivers. Now he's going after those who would monitor the health of Canadians. Now he's going after our medical libraries. When I saw this picture published tonight by the Con Ministry of Propaganda and Disinformation, I have to admit I was conflicted eh? On the one hand I despise both Stephen Harper and Benjamin Netanyahu for being vicious Cons and demagogues, who would lead their countries to disaster, and the world to war. But on the other hand I can't deny that any man who would praise Harper for his "moral leadership," must be madly in love with Great Leader. Oh no. Not another Con scandal? Not our poor artists? Not Shelley Glover. 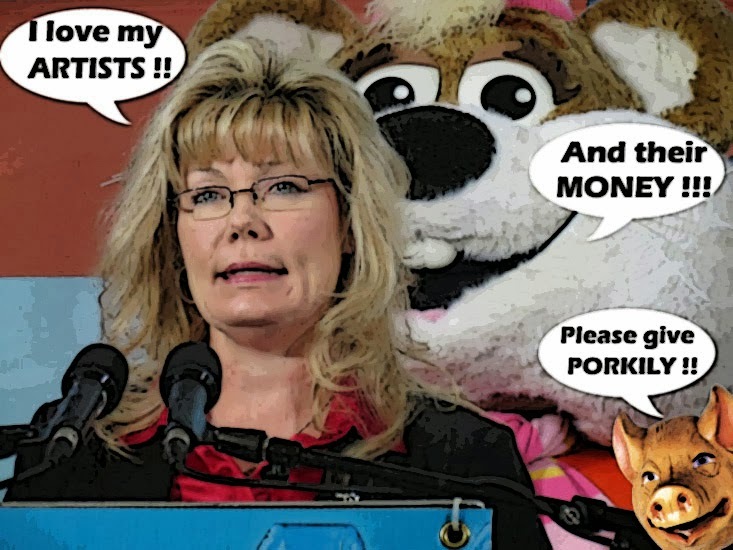 Heritage Minister Shelly Glover is under fire from opposition MPs over a fundraising event where members of Winnipeg’s art and culture community were asked to donate money to the cabinet minister -- donations that may have breached federal conflict-of-interest rules. 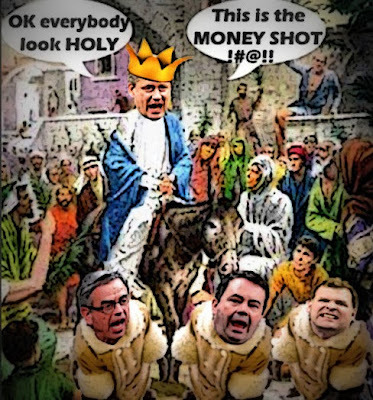 Well I guess Big Oil and its rented pimps in the Harper regime must be getting desperate eh? Neil Young is just too popular. They just can't stop him. Or silence his message. And now his show is rolling into the heart of Albertonia. And it's SOLD OUT !!!!!! So today the oil pimps deployed their ultimate weapon, the Oily Prophet himself, Rex Murphy. When I first heard that Stephen Harper was going to visit Israel, his spiritual homeland, at first I was amused. I figured it was just another excuse to escape the Senate scandal. And I couldn't wait to see him driving his getaway burro through the streets of Jerusalem. Trying to look like a Canadian Messiah. Instead of just a corrupt leader on the lam. But then when I saw how many people were going with him I was shocked. 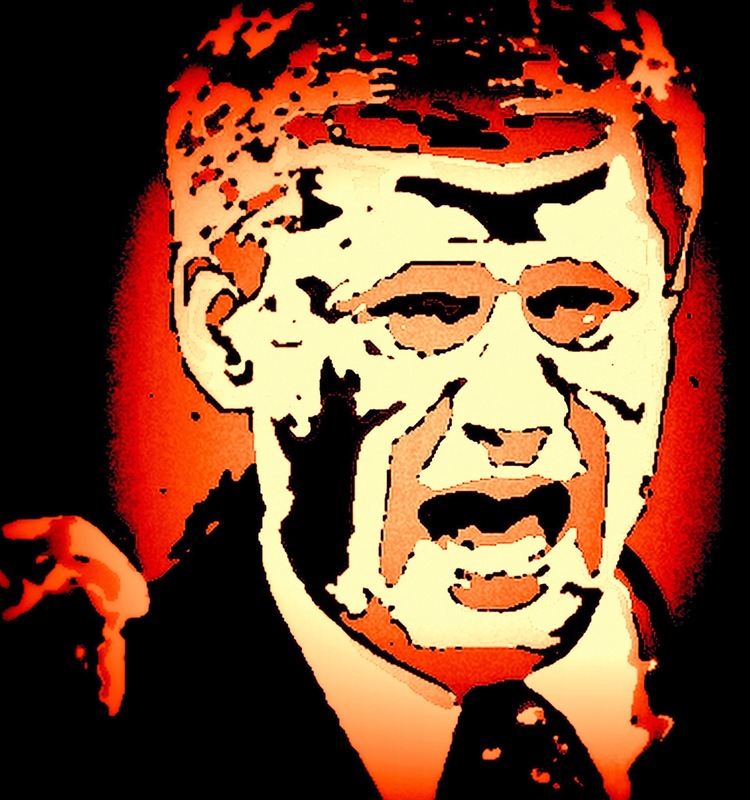 Could Stephen Harper Bring Back the Death Penalty? I've always thought that capital punishment was one of the things that prevented the United States from being a truly great country. Along with racism, religious bigotry, and the culture of guns and violence. And this only prove my point. Because no nation that executes people, in that manner or any other, can truly call itself civilized. Or claim that its moral values are superior to those of other countries, where the state murders its citizens, like Iran or North Korea. 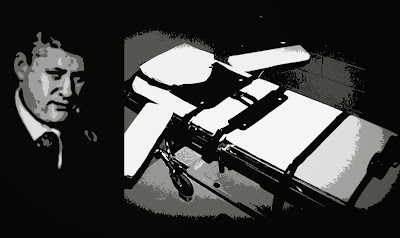 And this is only too clear when you examine where this diseased desire to execute people in the U.S. comes from. And understand that it's a question of history and geography. Sometimes when I look at the beauty of Canada, even in winter, I think it was our downfall. Because it can be so beautiful, nobody thought it could happen here. But it did. 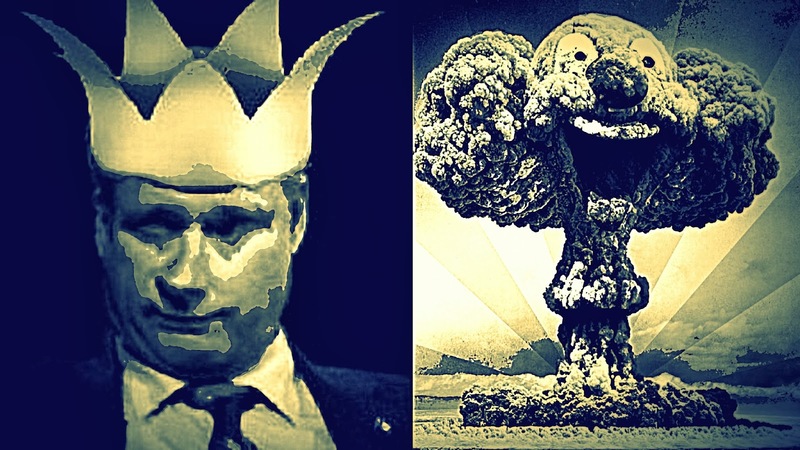 And now when I look at the horror of Harperland, I can't help thinking of that famous quote from Longfellow's poem the Masque of Pandora. 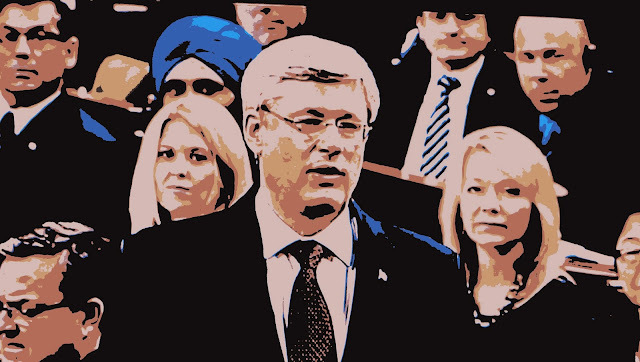 For what else can explain Stephen Harper's bizarre behaviour? 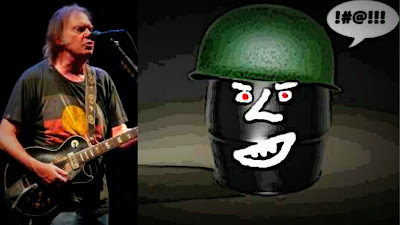 Well I see Big Oil has reacted to Neil Young's challenge, and is firing back with both barrels. Still blowing gaseous emissions out of every gasket or orifice. 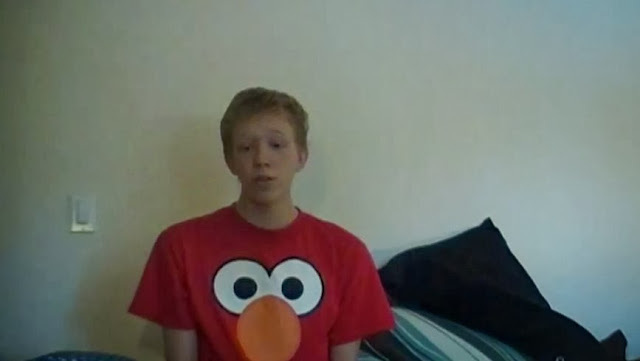 Still trying to portray Young as just a rock star, and not a REAL Canadian. 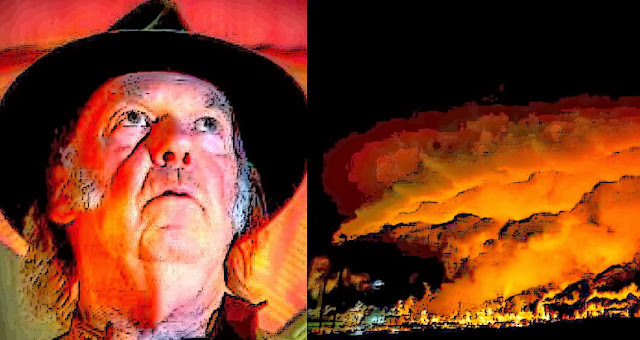 The oil industry is speaking out about negative comments made by rock star Neil Young during his benefit tour to help an Alberta First Nation. 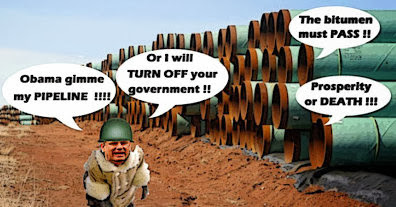 "Mr. Young may represent that rock stars don't need oil, but we would represent that Canadians very much do need oil," said David Collyer of the Canadian Association of Petroleum Producers (CAPP). And all I can say if that absurd line is all they got, those grubby oil pimps must be desperate, and round three goes to Neil Young. Robocalls: Is This the Breakthrough We've Been Waiting For? Well I must admit that I thought he would be the last Con operative to be granted immunity in the robocall scandal. But the law, like the Lord, works in mysterious ways eh? And Andrew Prescott seems to be the big winner. OMG. As you may not know, a team of investigators has been digging into the background of Stephen Harper. Trying to determine where he came from, and how he morphed into the monster that ate our country. And today the breakthrough finally came. And it's more horrifying than even I could have imagined. He has so many character flaws one hardly knows where to begin. 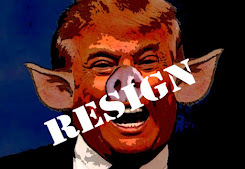 He's cold, he's cruel, he's the worst bully this country has ever seen. 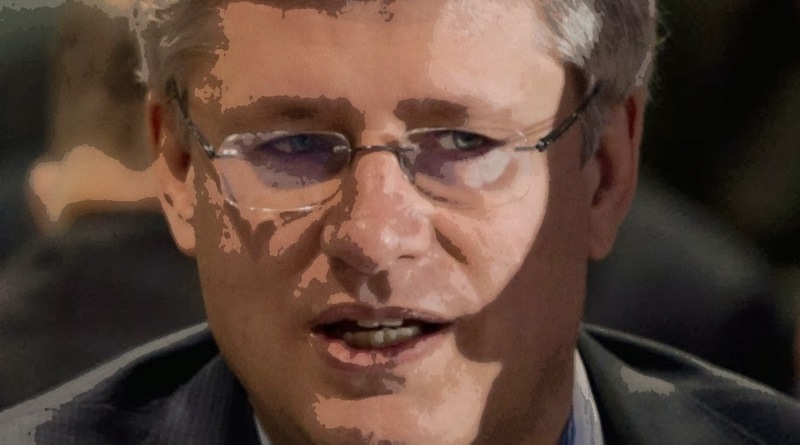 But what has always shocked me the most about Stephen Harper is how easily he lies. Because all you have to do is look at the transcript of this secret meeting to see what I mean. I think I can safely say that in the icy heart of this Harperland winter, just about the last thing I want to think about, talk about, or write about is the Quebec's Secular Charter. I've written about it before, and no doubt I'll write about it again. But not tonight. 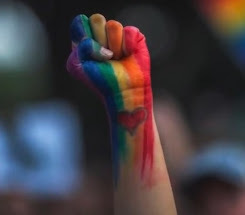 Tonight I'll just say I think it's unnecessary, divisive, and will stir up the bigots in this country like hitting a hornet's nest with a stick does to the flying hordes inside it. And although I'm an atheist, and a devoted secularist, I hate bullies of any stripe. Well as you know Stephen Harper isn't just running from the Senate scandal these days. And from Neil Young. He's running from the burning wreckage of his disastrous economic record. And so desperate is the situation, Great Economist Buffoon Leader has been reduced to begging Canadians to suggest any ideas about how he can create the Jobs of Tomorrow. Because goodness knows he doesn't have a clue eh? 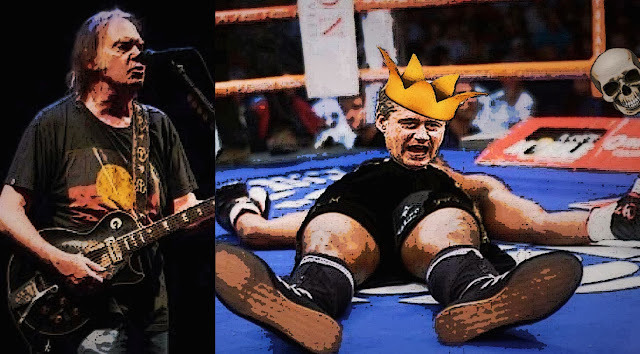 Neil Young Beats Up Stephen Harper. Again. Uh oh. 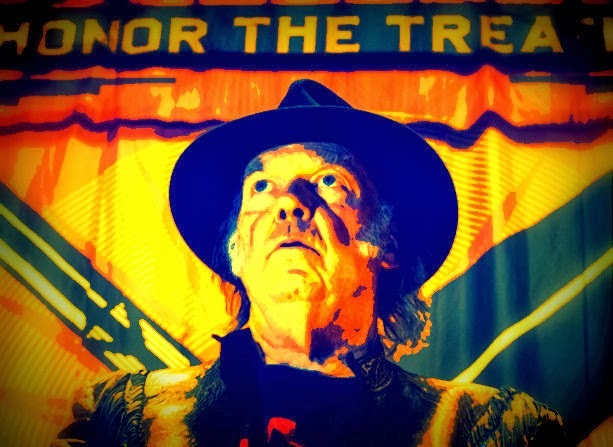 It looks as if the slugging match between Neil Young and the Con regime isn't going to last very long. "Even the lifestyle of a rock star relies, to some degree, on the resources developed by thousands of hard-working Canadians every day. Only to have King Neil turn around today, and plant his carbon footprint firmly in Great Leader's ample backside. To see him standing up for a small First Nation that is fighting a giant foreign oil company is so inspiring. 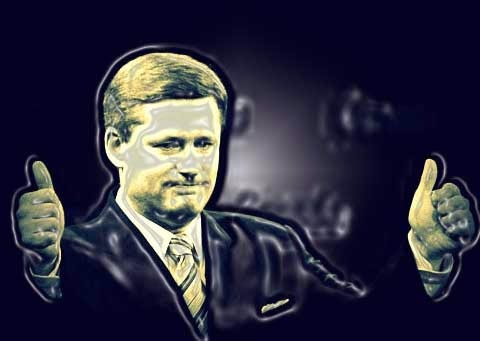 To hear him denounce Stephen Harper and his foul Con regime is music to my ears. 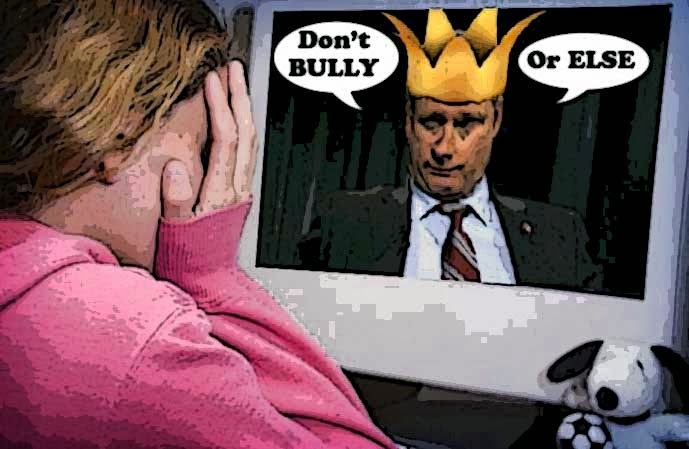 After not lifting a finger for eight years to fight bullying, even though it was killing children all over the country, the Harper Cons have finally decided to something about Canada's bully problem. Justice Minister Peter MacKay says the federal government will use television and online advertising to raise awareness about cyberbullying and the possible legal consequences of using the internet to torment people. By setting up a website Stop Hating Online. Complete with an ad for the Porky Action Program in the bottom right-hand corner. And although I'm glad to see ANYTHING done to fight bullying. 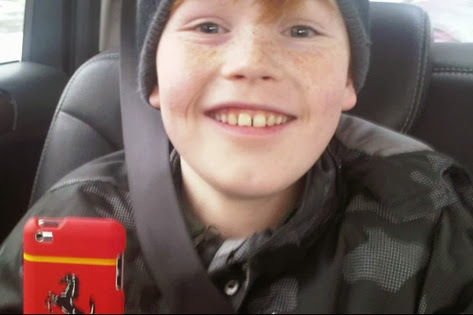 And I'm happy to see that the deaths of Rehtaeh Parsons and all those other kids finally forced the Con regime to take some kind of action, I'm not impressed eh? The ad strikes me as just another clanking cog in the wheel of the Cons' Great War on Crime. Which is aimed more at pleasuring their rabid base, than it is about making kids safer. And the program makes it sound like cyberbullying is THE problem, when in fact it's just part of a larger problem. And not all young people are bullied online. Many are still bullied the old fashioned way. And hanged himself rather than face his attackers in court. 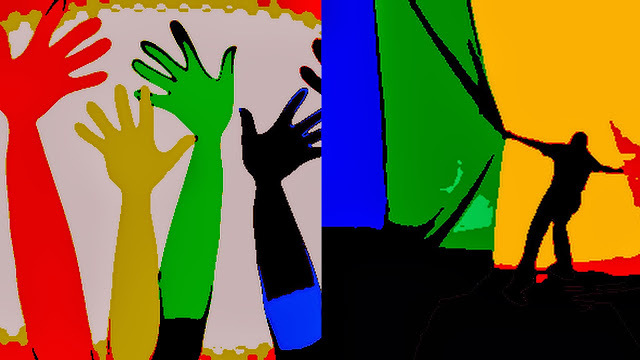 Thirdly, the program completely ignores why some young people are bullied and others are not. And with good reason. Because that would force the Cons to talk about anti-gay bullying, and their religious base would be very displeased. Because they want gay kids to be punished, and hopefully kill themselves. Those religious fanatics HATE anti-bullying programs. And since Harper needs their support so badly, he is only too willing to kiss their asses, or their stigmata, until his own lips bleed. Fourthly, Bill C-13, which Peter MacKay says will be introduced in the Spring, is just a slightly improved version of Bill C-30, the one Vic Toews tried to foist upon us. And is still hideously flawed. 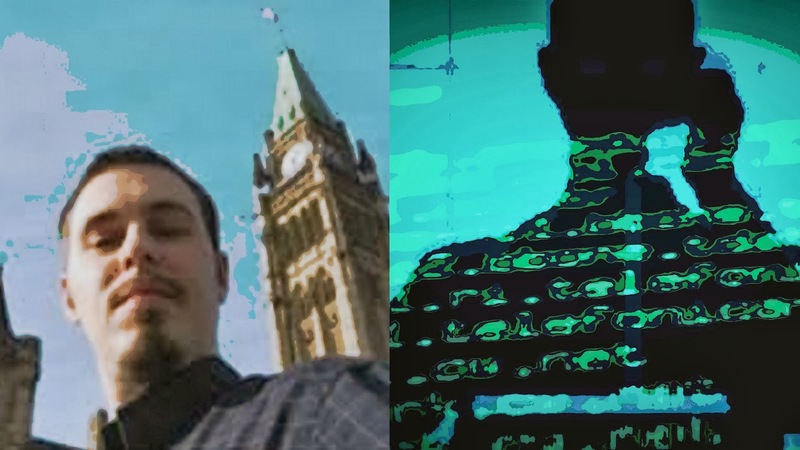 Much of the new bill's contents are in fact a re-hash of C-30, the deeply unpopular lawful access legislation tabled (unsuccessfully) by the government last year – that is, much of this new bill is about expanding the government's surveillance powers, just as the last bill was. Under the proposed law, carriers would be granted a kind of immunity from the criminal and civil consequences of voluntarily disclosing customer information, a sort of carrot offered as incentive to hand the data over without too much resistance. In addition, as University of Ottawa law professor Michael Geist notes, there is, under the new bill, essentially no limitation on the reasons for demanding personal information disclosures. But then why should anyone be surprised eh? 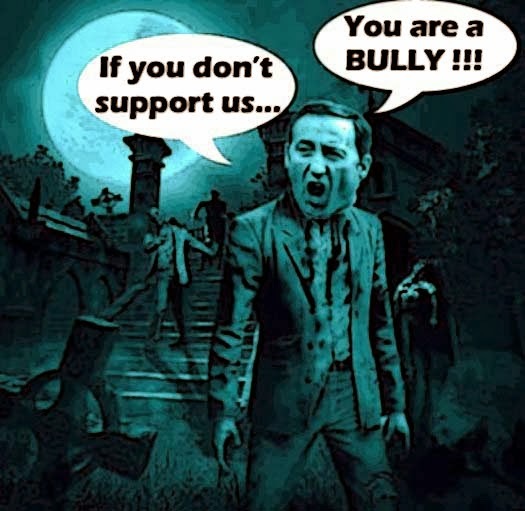 How could anyone expect the Cons to take bullying seriously? Or do the right and decent thing. When their deranged leader is the worst bully this country has ever seen. The one who most recently reduced grown scientists to tears, by destroying their life work. By burying it in landfill or BURNING IT. To think that grubby political thug could claim he is against bullying is nothing less than obscene, and enough to make me VOMIT. Oh boy. You know I care a lot about fighting bullies. You might call it MY life work eh? I can't wait for the day they are driven from this earth, and take their cruelty and their wars with them. For they are the root of all evil. If we want to save the children. And ourselves. First we must save our country. Please vote here to recommend this post at Progressive Bloggers. There was a moment during last night's excellent Fifth Estate documentary The Silence of the Labs, when I felt dizzy, almost faint. 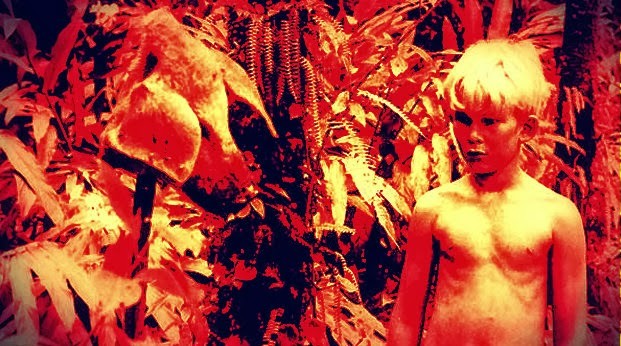 Like that other Simon, in Lord of the Flies did. When he stared at the head of the pig on a stick, and realized the monster was THEM. The boys who would kill him for telling the TRUTH. Just like the Harper Cons are killing this country. For this is MONSTROUS. He's still hiding from Canadians, still huddled with his closest advisers. Still inviting us to enter his sinister parallel universe. Still running from the media, still dodging responsibility from the sheltered comfort of his ghastly cocoon. 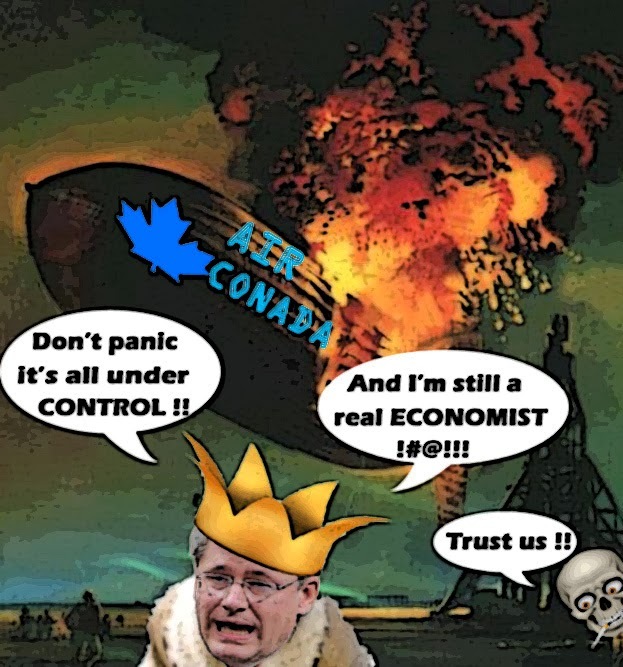 In lieu of answering real world questions, the prime minister has entered a pre-campaign cocoon, dodging controversy and responsibility except to claim personal credit for trade and economic booms which always seem just over the horizon. But it won't do him any good. 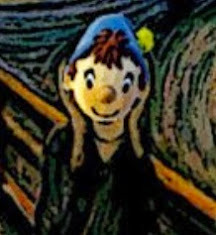 He can run, he can hide, but he cannot escape reality. 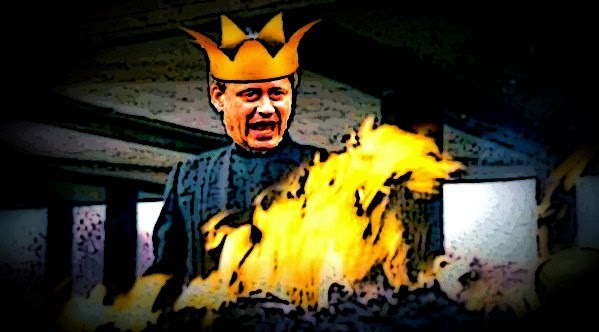 And Stephen Harper's long overdue Day of Reckoning has finally arrived. Well he's somewhere in the far north, hiding from the media, so he doesn't have to answer any embarrassing questions. Like how many jobs DOES Chuck Strahl need? Or how is that Senate Scandal going? And have the police questioned him yet? But then who needs the media eh? When you're the star of your own new/nouveau propaganda movie. 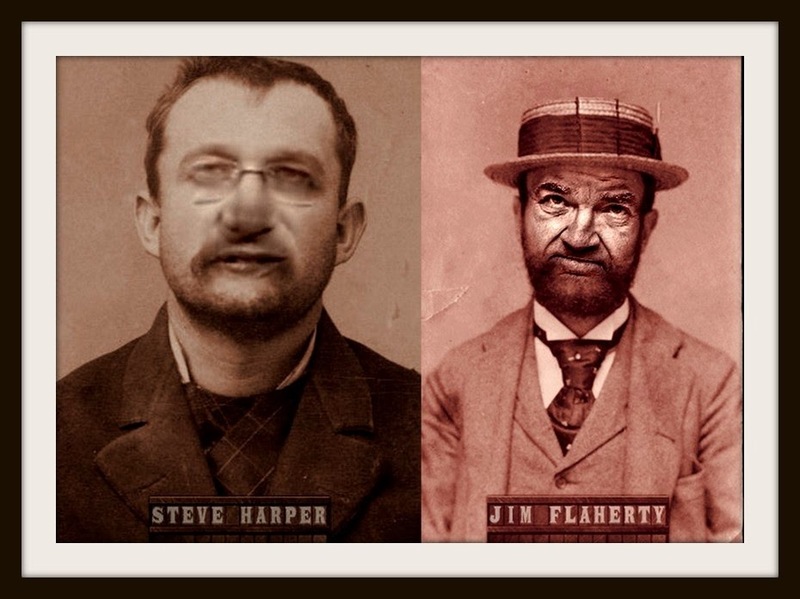 The other night I wrote that if the Stephen Harper and his hapless stooge Jimbo Flaherty wanted to run on their economic record, they should be my guests or be my CRIMINALS. Because there is no other way to describe what those two Con artists have done to our country, by putting their crass politics before the needs of our economy. OMG. Can you believe Lord Harper and his monstrous Con clowns? What will they say or do next? Who will save us ??? And is there no JUSTICE ??!!!! 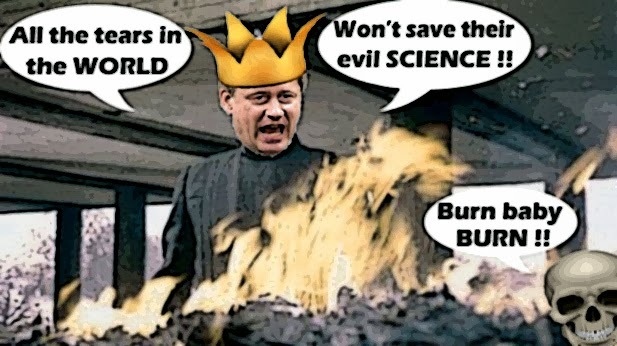 I mean there was Harper today declaring that transporting oil and gas by rail has never been SAFER. Even though the big boss of CN admits that Houston Ottawa we have a PROBLEM. In a party full of the most disgusting politicians this country has ever seen, he is arguably the most disgusting Con MP in the House of Commons. A grotesque social conservative who has called Nelson Mandela a terrorist, accused Tom Mulcair of hastening Jack Layton's death. Attacked women's rights and LGBT rights in the most obscene manner. Been caught sleeping in the Commons, and during a committee meeting on homeless veterans. 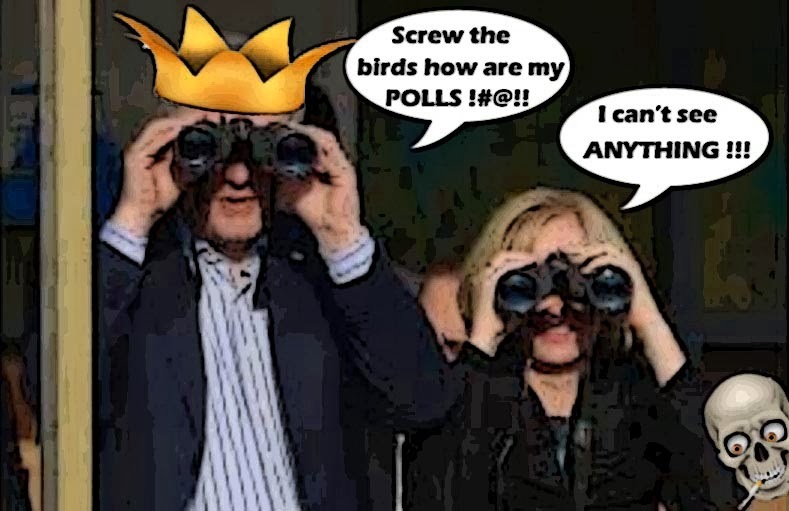 And made the people in his Calgary riding who elect him election after election look like backward rednecks. 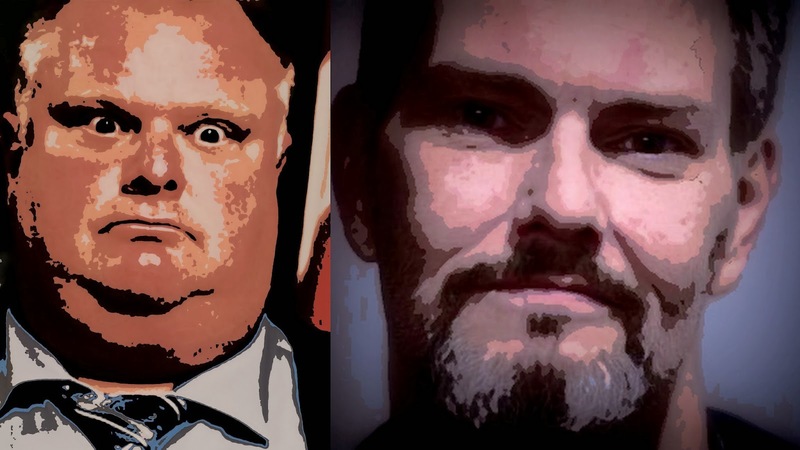 But now at last Rob Anders may be fighting for his political life. 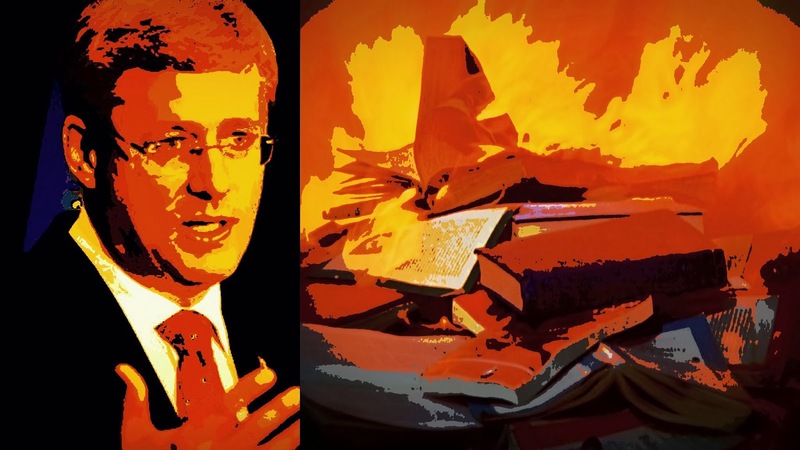 Why Has Stephen Harper Not Fired Chuck Strahl? 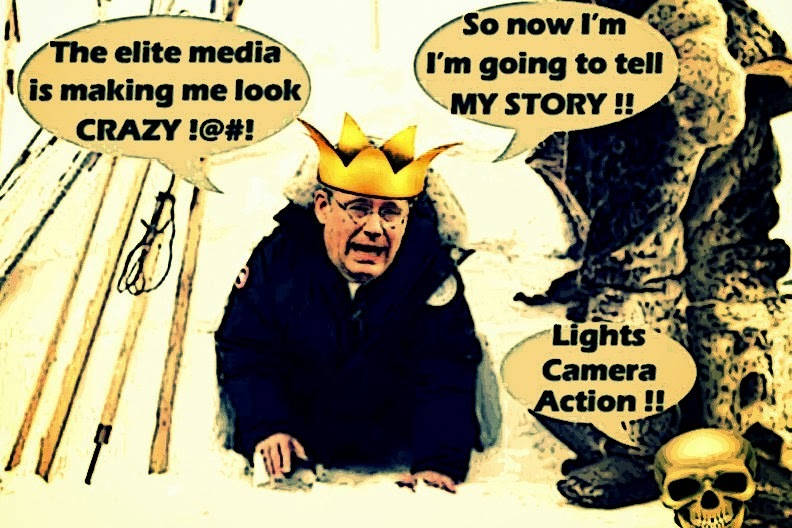 Will Stephen Harper Take a Walk in the Snow?